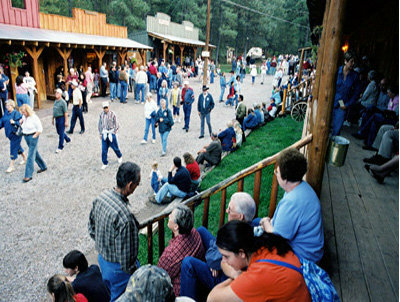 The Flying J Ranch Chuckwagon Supper and Western Show has been in operation since 1982, offering great food and excellent family entertainment. Since the opening some 28 years ago, we have fed and entertained over 630,000 guests! 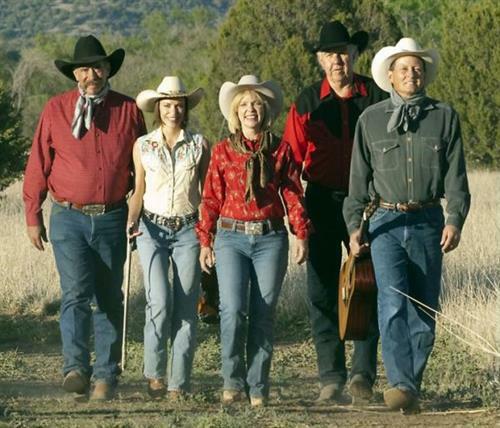 We have pony rides for kids, an ''old west town'' with gift shops, a pistol range, gold panning, a great cowboy dinner featuring the Flying J's beef and chicken, potato, cowboy beans, biscuits, spice cake, chunky applesauce, coffee, tea and lemonade. After dinner we perform a Western Stage Show featuring the Flying J Wranglers! Here at the Ranch we believe families are the cornerstone of our great nation. To help make your visit affordable, young-uns three and under are our guests - no charge. Our $15 child ticket and $25 adult ticket include virtually everything: chuck wagon meal, drinks, entertainment, exhibits, gratuity, parking and most attractions. The Flying J Stores are full of nostalgic items, jewelry, western toys, awesome and unique t-shirts and gifts handmade in New Mexico! Lots of cowboy and western themed items and curios are available. Look for popguns, six-shooters, ''Woody'' hats, rocks, and rattlesnake eggs for the kids, and then some more collectable items and jewelry for adults. 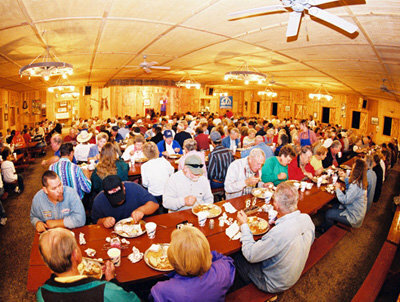 Over the years The Flying J Ranch has hosted numerous private dinner shows, company picnics, fundraisers, and weddings. We would love to work with you to make your event meaningful, fun and memorable.